Richard Irwin (Belper, United Kingdom) on 18 March 2009 in Plant & Nature. Another shot from my garden, I'm glad I photographed these on Monday as by by today they had all dropped over. Another gorgeous shot! How do you process these? @john4jack: These were shot on a Nikon D70 with a 50mm Macro. Lit with daylight mixed with diffuse flash from a Nikon SB800. Exposure was 1/100 sec at F/8. In Photoshop, corrections made to Levels, Colour Balance and sharpened using the Smart sharpen filter. Image reduced to 800X600 and then saved for web as JPG. Beautiful flowers, very sharp, nice vivid colours! Another beautiful shot Richard! Love it! Beautiful, bright colors! Gorgeous shot, Richard! Great color and I'm jealous - not quite Spring here yet. Thanks for posting your processing. Amazing results from what you did. The ones today and yesterday have been absolutely stunning! This is why I LOVE spring...beautiful colors and flowers! Lovely colors and composition. 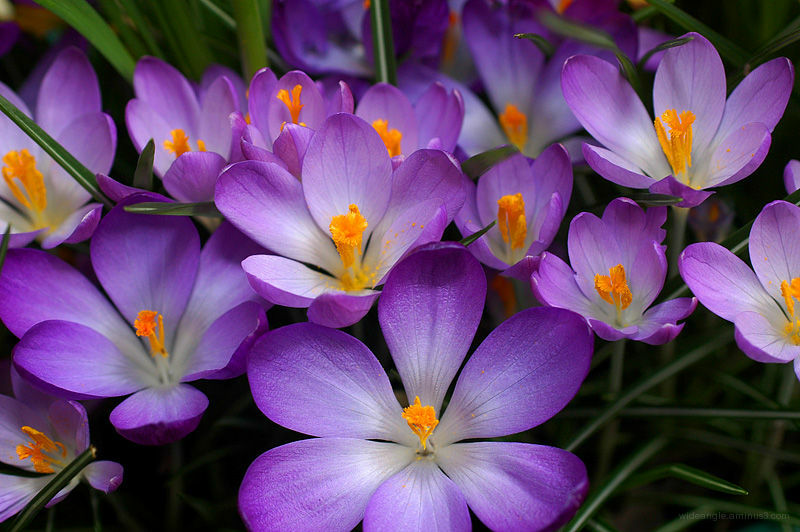 I enjoy these small flowers early in the Spring, the offer the promise of warmer weather. Well done. This photo sings of Spring. Great composition. Love the repetition of color and shape! These really glow . . and, from what you say above, that was the way there were. I so much prefer that to 'worked' shots which cam look so false. And, yes, always a shame when these little beauties topple. @Lilly and Ronnie 2¢: Thanks. The additional flash really helped with these shots, as those few I shot without it just looked dull. I don't go anywhere without the SB800 on the camera. These flowers are so nice. Their shapes and colors are so pleasing. You've a very nice composition here. you're so lucky these are in your garden! gorgeous colours ! magnificent part of garden ! Wonderful ! so fresh and sharp . I like the point of view its really great. beautiful. i can feel them reaching up. This is fantastic...they jump right off the screen! ça sent le printemps, ça... joli ! Just stunning..you must have quite a green thumb! They really are beautiful, and a really fine shot. A beautiful arrangement of colors. Very nice. Neat shot. Must be some garden. A colored forest. Very nice. oh !you have beautiful flowers in your garden and beautiful photography too !